Chapter two addresses the setting and sources of Johannine Theology. Hellenism, Gnosticism and Judaism are considered, with right emphasis placed on the last. Section by section the book is surveyed for narrative setting and source with several insightful observations. One notes the climate of authorship which is reflected by way of the fact that “more than once...the threat of being put out of the synagogue is mentioned as something that might dissuade people from confessing belief in Jesus.” Judaism and Christianity in general are further considered as settings for John. 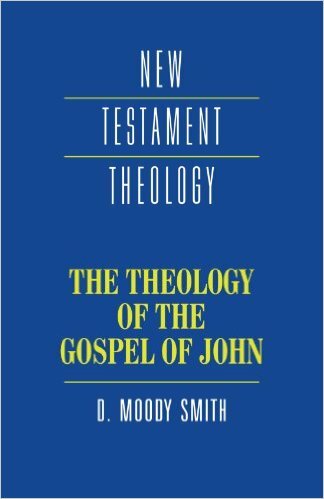 In summary, Smith concludes that “the closer one gets to Judaism, as well as early Christianity, the closer one is to John.” He also highlights the narrative nature of the book, as well as the two levels of drama within it: that taking place in the world of Jesus, and that similar drama inferable in the world of the author. After nailing six presuppositions in place, God, Scripture, Jesus, kerygma, church and spirit, Smith tackles the themes of John in two categories: The revelation of the glory to the world, and the revelation of the glory to the community. Questions of Christology feature most prominently in the first, Ecclesiology and the Christian life are the focus of the later. Smith’s final chapter deals with the myth-mindedness of the New Testament context, Anti-Semitism and the Nature of Christianity. This discussion of Christianity’s essence is presumably meant to wrap up the preceding pages, but does so unsatisfyingly. On a three points I wish to applaud Smith; on a couple I will offer my critique. To the extent that Moody frames his observations in the understanding that John’s author is attempting to adapt historical events to his contemporary context in the nexus between sparring Christian and Jewish groups, he is extremely helpful. With the question in mind of to whom the gospel is written, and why, there can be little disagreement: it is written to Christians at odds with their Jewish progenitors and still a bit fearful of religious life apart from Judaism. John’s dualistic terms, in which you are either with us who are of the disciples, or you are the world of which Jesus warned “If the world hates you, be aware that it hated me before it hated you” (15:18). Smith’s insight that John’s author and audience are undoubtedly needing such affirmation invites us as current readers to participate in dual narratives, that in which John’s Jesus walks, and that in which John’s author does. Flowing out of the observation that the narrative has two levels, considerable attention is given to the nature of the community receiving the Gospel. Given my own interest in ecclesiology, this was especially enjoyable. And it is warranted. John’s Gospel very clearly assumes a cohesive, defined non-Jewish (religiously) Christian community. With attention to the place of the Beloved Disciple, as well as that of the man born blind standing in for the Johannine community, the narrative comes alive with relevance, not only to the blooming church, but also for Christians today. Smith’s sustained discussion of the community brings the text to life; seeing how it was once so relevant invites me to see its relevancy to my own communities. Also commendable, is Smith’s comparisons of Johannine themes with those present in other New Testament writings. 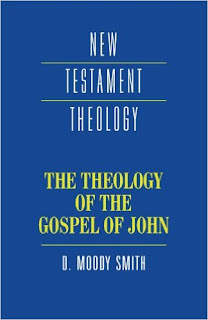 John’s Gospel seems to take for granted knowledge which comes to us through other writings, as Smith states in his final paragraph: “there is a real an important sense in which John begs to be read in light of the rest of the New Testament, particularly the Synoptic Gospels”. (182). Apparently unconcerned to connect all the dots, John lacks narration of events he could hardly have been unaware of,, including Jesus’ baptism and the institution of the Lord’s Supper, with no apparent reason. So while exegetical scholarship has tended to stress solely the importance of ‘letting the text speak for itself’ as opposed to allowing other texts to fill in the gaps, John, it seems, at times expects this foundation, though it builds from there, and presents something in a new way. Despite these dominant strengths, Smith’s treatment is lacking in two notable areas. First, he seems indecisive regarding the central theme of John. In one place, he claims, “The fundamental question of the Fourth Gospel is the question of God...” while, in keeping with most other scholars, he spends the majority of his pages discussing Christology, calling it a theme of “severe concentration.” To further the confusion, he states early on that revelation is “precisely the theme of this Gospel”. The recognition that revelation is a dominant theme is refreshing, but muddies the waters. So which is the predominant theme: Theology proper, Christology, or revelation? The most helpful answer is a nuanced inclusion of them all: The major theme of John’s Gospel is that Jesus reveals who God is. Hence, emphasis tends fall on either the subject (Jesus), the object (God) or the verb (revelation). Smith points in this direction on the first pages of chapter three, but why he can not state it succinctly, I do not understand. My second, and most severe, criticism is that which I mentioned in the opening: the structure and flow of the book is much too difficult to follow. Even for one in the midst of engaging Johannine themes such as myself, keeping track of the flow of argument was a task. For one without Johannine literacy, I can only think it would be a burdensome read. Headings lacked helpful indentation and there are too few conclusive summaries for sections, not to mention the absence of one for the whole. As mentioned the Table on Contents proved to be very little help in sorting out the structure. In sum, this book is not reader-friendly. They say that cultural adaptation means learning to put the same goods in a more accessible package. Smith as ‘got the goods,’ so to speak, of solid scholarly insight and helpful analysis of the relevancy of context on the Gospel of John. Smith brings helpful attention to the developing distance between Judaism and Christianity. He deals nicely with the Johannine community. He relates John’s Gospel to the relevant context of other Christian writings. All these are gems to the Johannine student. Sadly, it is the packaging, presently a reader-unfriendly format, which serves as the greatest impediment to the goods within.